Designer furnished vacation home offers warmth and elegance. The home features cozy wood accents, natural stone and exposed beams. 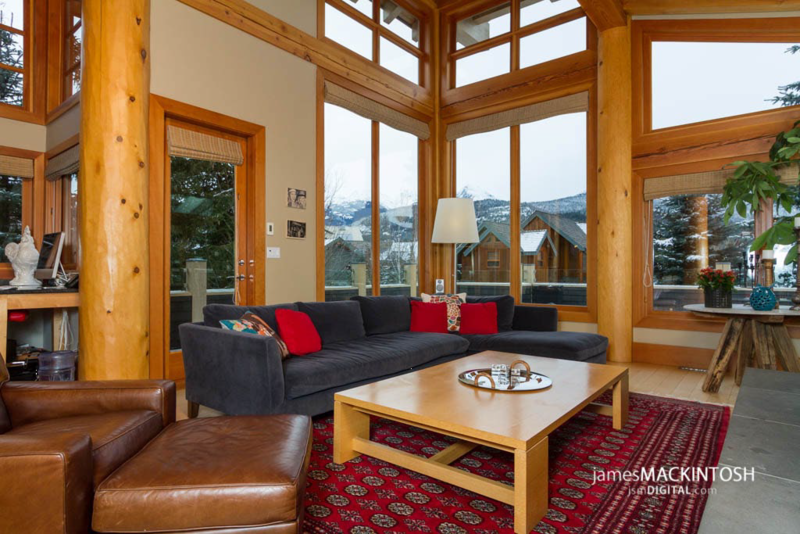 This luxury Whistler home is located on the 14th fairway of Nicklaus North Golf Course. The location offers direct access to cross-country ski trails. Enjoy the expansive views from the outdoor hot tub and living rooms floor to ceiling windows.